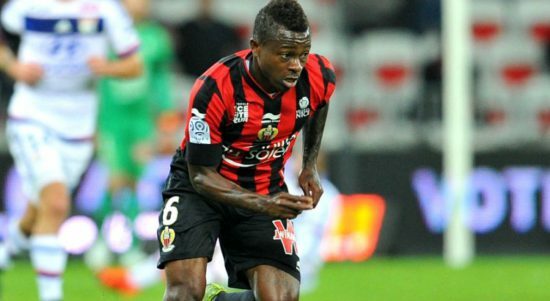 Manchester United are reportedly interested in signing Nice midfielder, Jean-Michel Seri. The player who currently plies his trade in the French Ligue 1 with Nice has been attracting a lot of interest from a host of top European sides such as PSG, Liverpool and Barcelona. Skysports suggest that Manchester United are looking at his direction in a bid to replace Michael Carrick, who is expected to retire at the end of the season. Carrick has struggled for game time this campaign as he has had a heart problem. Seri is one of the best players in France and would command a reasonable fee should we go ahead in our pursuit of his signature. The 26-year-old was magnificent for his club last season as they finished 4th and has taken that form into this season. He was heavily linked to a move to Barcelona last summer, but a deal failed to materialise as the clubs couldn’t reach an agreement, according to the club president, Jean-Pierre Rivere. José Mourinho is looking at signing the player as speculation continues to mount about the future of Belgian international, Marouane Fellaini who has just 6 months left on his Old Trafford contract. It is reported that the former Pacos De Ferreira has a release clause of around £33m, which expires at the end of next season. Seri is a midfielder that is known for his all-action, combative style in the middle of the park. He will offer more solidity in the middle of the park and help our quest to win more trophies. In 26 games this season, he has scored once and created 4 assists for his club.